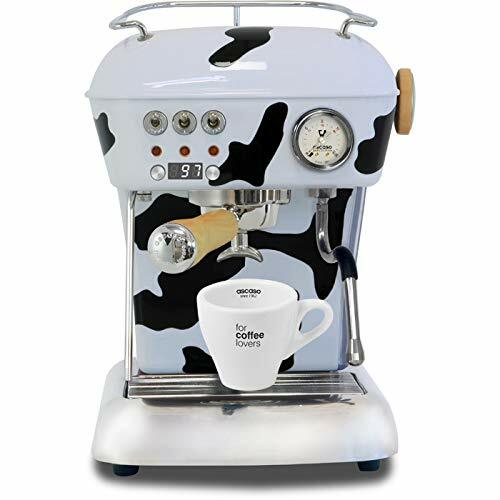 CoffeeStrong delivers the best Ascaso Espresso Machines on the market today. We keep our lists fresh and current so you get the best options and top rated…. FREE Ascaso Cup Set - Includes 1 espresso cup & saucer. Cup has Ascaso logo. PID Display - Adjustable temperature in 1° steps. Stand-by option. Extraction timer. Programmable pre-infusion. Alarm system. Thermoblock System - Made of aluminum & stainless steel. The water does not come into contact with any of the aluminum. Ground / Pod System - No conversion kit needed. Just switch out the correct filter basket. New Grouphead Design - Made of 100% solid brass. The brand new iMini is a superb burr coffee grinder from Ascaso, a company that specializes in commercial and domestic coffee equipment. Its compact size makes it ideal for home use, and it sports a very solid construction. As of September 5, 2011, the MCSpa includes a filterholder guide - these are 2 small rods that help guide the portafilter. We do not suggest removing the rods as the holding nuts inside the unit will dislodge and may be difficult to put back into place. Please note the guides are a guide and they do NOT hold the portafilter in place. the portafilter must still be held to push in the grinder activation button. Turning the knob on the side of the grinder allows the grind setting to be adjusted to any point on a continuous scale from the finest to the coarsest setting. This is known as stepless adjustment. This feature allows very small adjustments to be made very easily - making it one of the few grinders that can achieve the perfect grind setting for making espresso. The body of the aluminum i-Mini is made from aluminum polished to a shiny finish. When these grinders get wet near your espresso machine, there is no rust! 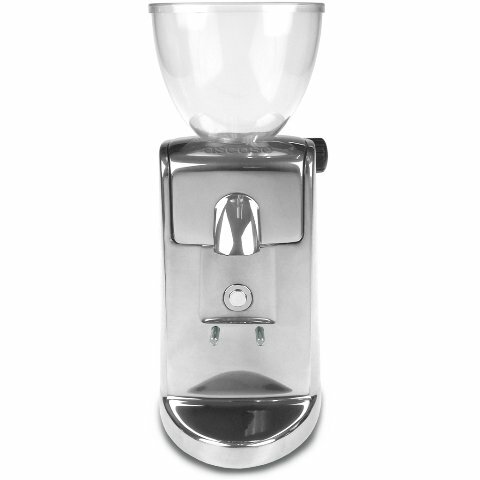 The hopper is made from clear plastic and holds approximately 250g of coffee beans. The hopper just lifts off for washing, and the top of the grinder is easily removed to allow access to the burrs for cleaning. Please make sure to remove the beans from the hopper prior to removing the hopper. The ground coffee is dispensed directly into your portafilter handle from the chute. Simply hold the portafilter handle against the button on the front of the grinder to activate the grinding mechanism. 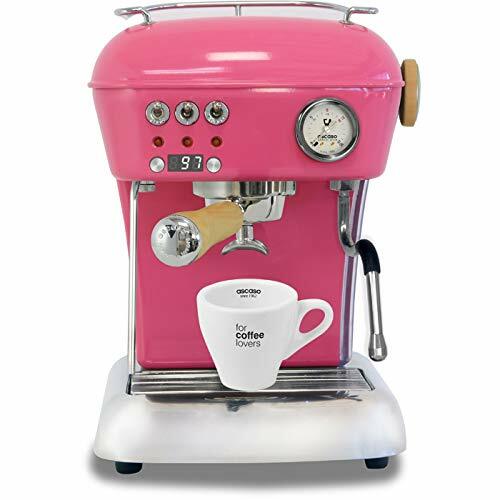 If you do not use an espresso machine, you can dispense the coffee into a small cup or container. 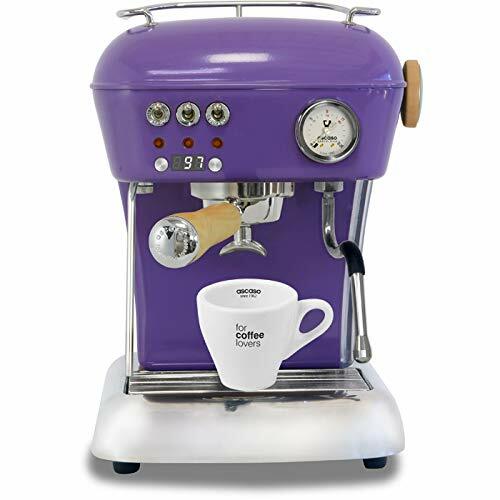 Doserless Flexibility: The grinder features a coffee chute, which funnels the freshly ground coffee from the grinding chamber directly into a coffee holder for your espresso machine or into a coffee filter, or even a storage container. Stepless Grind Adjustment - To adjust the grind, turn the knob on the side of the grinder to adjust the grind finer, or turn it the opposite direction to make the grind coarser. Ascaso refers to this it's Micrometric Regulation System (MRS). The adjustment knob allows for infinite grind settings. Conical Burrs: Ascaso i-Mini Grinder is a powerful unit that uses heavy-duty 38mm conical blades for superior performance with all kinds of coffee beans. Little Buddy: One of the smallest quality burr grinders on the market, the i-Mini comes in at just more than 12 inches tall. 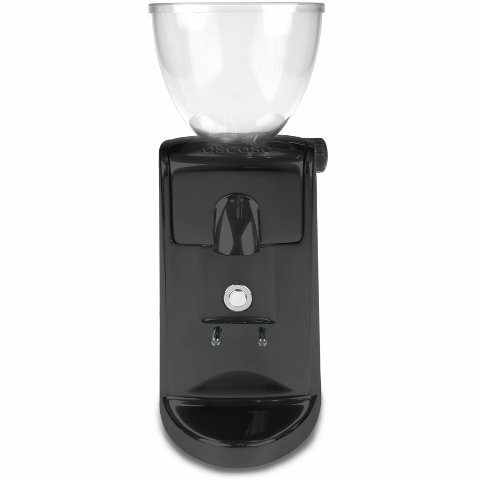 Ascaso I-Mini Espresso Grinder Doserless - Black. Made in Spain. 1 year warranty.